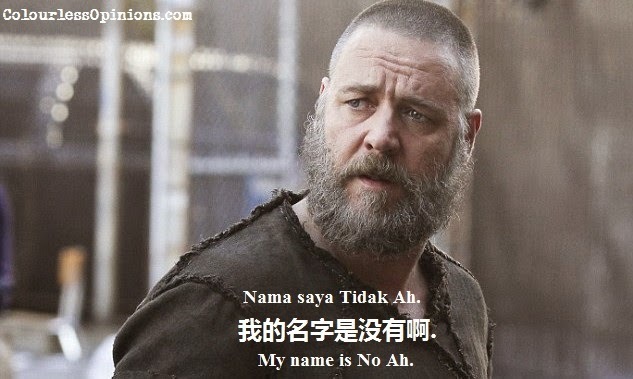 Why ban “Noah” in Malaysia when we already have pork, alcohol & casino here? So, as you all know, our Home Ministry had no choice but to ban this film as it’s a violation of the Islamic law or guidelines. Apparently any depiction of any prophet (which. in this case, is Prophet Noah otherwise known as Nabi Nuh) is prohibited in Islam (source: here). How unfortunately for us, movie-goers. But wait a second. Pork, alcohol and gambling are prohibited in Islam too, so why weren’t they banned here as well? I’m not a religious person and I don’t really know much about Noah’s Ark and to be honest, I’ve almost no interest at all, but I do question the inconsistent strictness of the Islamic law that we practice here. I’m not gonna discuss about the other countries that have also banned the film. I’m just going to talk about Malaysia alone as I could only relate to my own country. For many-many years now, we have alcohols here, we have a casino here, we even have pork in many areas in the country, but legally, only non-Muslims can be the customers of these Islam-prohibited stuffs, and our Muslims friends grow up knowing that they’re not supposed to consume alcohol or pork, and that they’re forbidden to gamble, whether they like it or not. So why the heck did they have to ban Noah? It just doesn’t make any sense to me. Couldn’t they just make it illegal for Muslims to watch the film? Or why not just change film’s title like what did they before to the film adaptation of Hellboy (which the title was changed to Super Sapiens for local release) and mute his name off in the movie (and censor the subtitles like below)? These suggestions could’ve worked ’cause they’ve already done it before, so why not do it again? Even if they were to add another excuse saying that the film might “confuse believers”, almost the same reason why they banned non-Muslims here from using the word “Allah” (which resulted in the confiscation of Malay-translated Christian bibles and the banning of an Ultraman comic book), it’s still wrong, I feel. It’s just appalling for the authorities to believe that Muslims here can be easily confused with their beliefs and figures of Islam, or have their faith shaken, simply by a mere word or movie. Not to mention that the word was used without a problem ever since before I was born, and this only became an issue when it was suddenly raised by a certain party. I guess there’s nothing more that can be said besides it’s just unfortunate that our country is (sort of) strict with Islamic law while also having an inconsistent film censorship board, one that allowed films like 300: Rise of an Empire and Dredd to be released here with most of the gore and violence uncut, but completely banned Raid 2: Berandal. Sigh. Watch this trailer of the film and tell me, how in the world would this affect anyone’s beliefs? Does it look like a promotion of the religion, or does it simply look like a form of entertainment only? I’d say no, it wouldn’t affect anything unless you’re stupid and your faith is weak, and yes, it’s just a movie, like any other ones that you either loved or hated, but it wouldn’t exactly change anything. 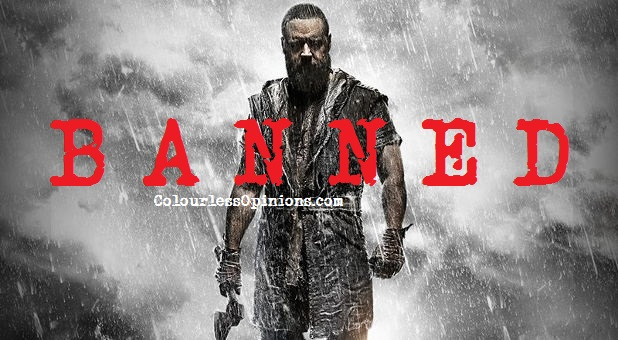 If you disagree with me, I’d love to hear why, but please don’t give simple vague answers like “it’s the law” or “the film’s an insult to Islam” or “Noah’s not white” or anything like that. Noah is currently fresh on Rotten Tomatoes with over 70% of positive reviews from critics. People here are going to watch the film one way or another. There really isn’t a point of banning any movies from big screen release anymore. Not every people in malaysia have internet excess.. smartass…. Even more reason not to have banned the movie.